“A tremendous partner who is committed to the success of Freedom, that has provided greater efficiency for our sales team, leading to success in both lead conversion and scalability.” ~ Freedom Mortgage, a top 10 mortgage lender. At ClickPoint, we recognized a considerable problem with emerging technology and the rise of the informed consumer. We all love to research before we buy anything these days, but this presents a problem for salespeople who ultimately want to have meaningful conversations with potential customers and to present them with viable solutions. With technology rapidly progressing, the informed consumer has more options than ever to avoid conversations at all costs. These days a salesperson is required to use several complex software programs all at once to try and reach a potential customer. It can seem like an impossibly complex undertaking. We wanted to make it easier for salespeople to communicate with customers using the customers preferred communication method, at the right time, and so we did. 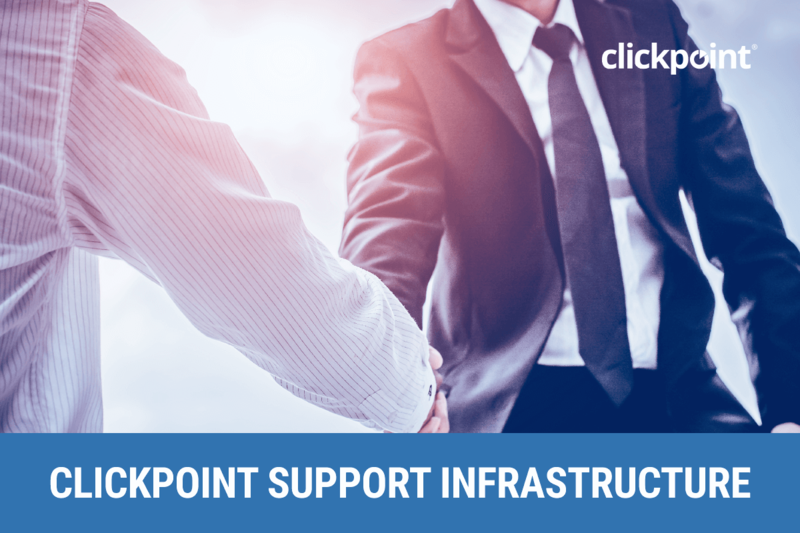 ClickPoint Software helps high-performance sales teams with a sales solution that enables them to communicate with their prospects at the right time via phone, text, email, or chat. Dedicated Resources — We believe that each account requires a dedicated project manager, one that will see your implementation through from start to finish, available to you via phone, email, and chat. This is part of our formula, and commitment to ensuring you get real, measurable ROI from every initiative we take with you. Dedicated Design Team — Customize email nurture campaigns and landing pages, integrations, and custom design projects. Customization Team — Available for Integrations and compliance like integration with internal DNC and other internal compliance integrations. Integrations with internal LOS, Fiserv, or Applications. Lead Fields — We collect all the lead fields of information you collect on your website, existing software, or that you purchase from lead providers. Sales Process — We learn more about your business and your sales process. We will then build your sales process into the SalesExec solution and make recommendations based on our knowledge and best practices. Lead Source Integration — We integrate all of your lead sources like your website or landing pages, third-party lead source, and any phone numbers you use to route phone calls. We apply budgets for marketing spend so that we can calculate real-time ROI on each lead source. We want to know in the first 30 days which lead sources are converting. Marketing Automation — We will either add your email templates or use existing templates to ensure that there is a drip email process for various stages of your leads and prospects. Lead Distribution — Our team will assess your current sales team and your plans for scaling your sales team and create the most optimal lead routing strategy. For most clients Shark Tank or Pull works best for driving contact rate and sales. For other clients, a mix of Shotgun lead routing and Round Robin is better for the type of sales team they have. We will help you create the best lead routing solution. Our team provides you with a document to help make the onboard process as efficient as possible. Most accounts under 20 seats can launch in as little as 1-2 weeks. Our goal is always a week but check out the process below to learn more about what is involved in creating an automated sales process. This entry was posted in ClickPoint News / Dev Corner on December 6, 2018 by ClickPoint Software.